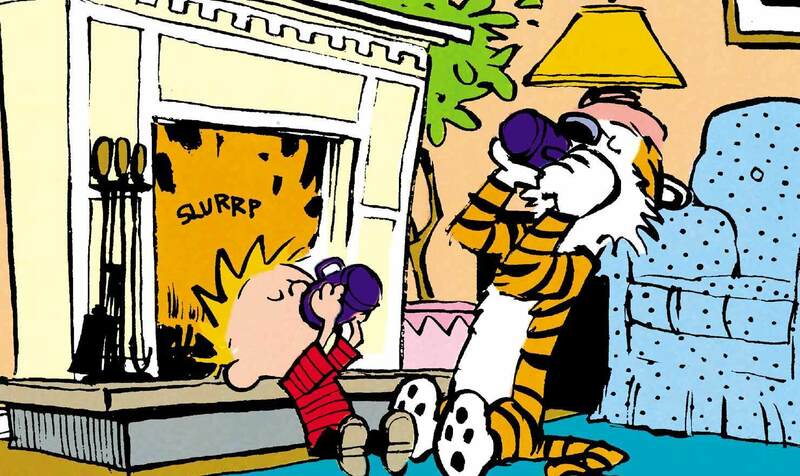 Calvin: Ha ha! Your clever little strategy has tragically backfired! Look at this jump! Watch and weep, fuzz face! 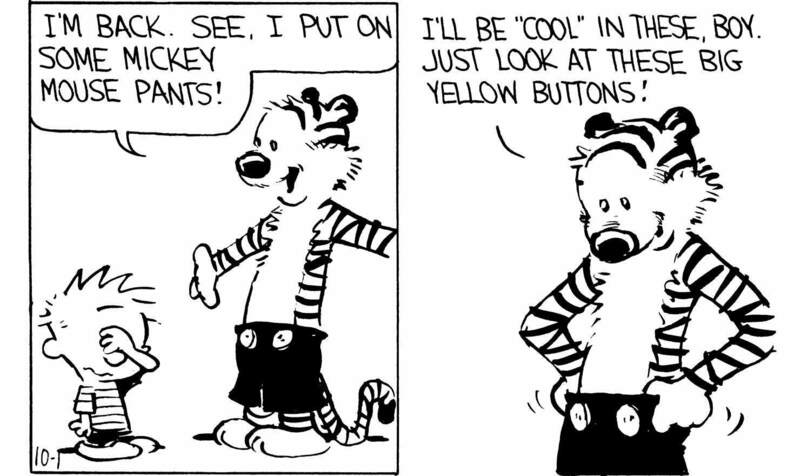 Hobbes: That's your move, right? I get to go now, right? It's too late for you to change yor mind, right? 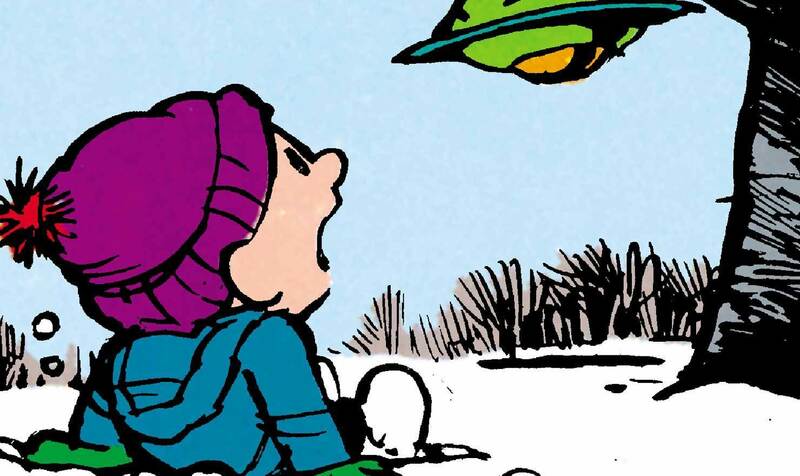 Calvin: Not so fast...my hnad's still on it. 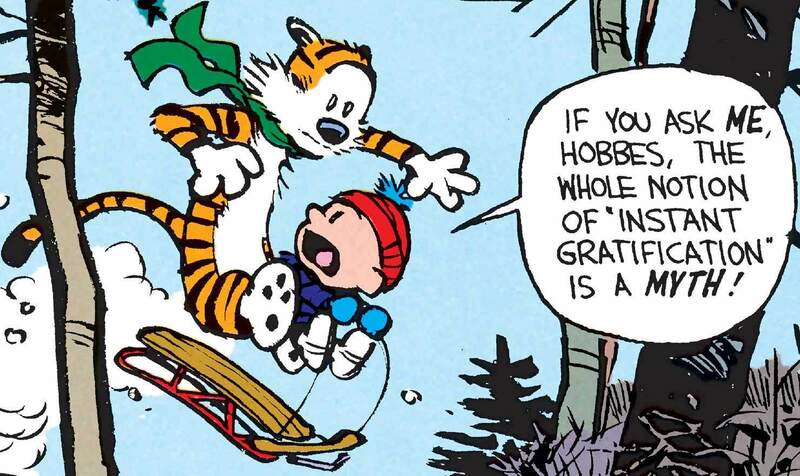 Hobbes: Jump, jump, jump! I win! 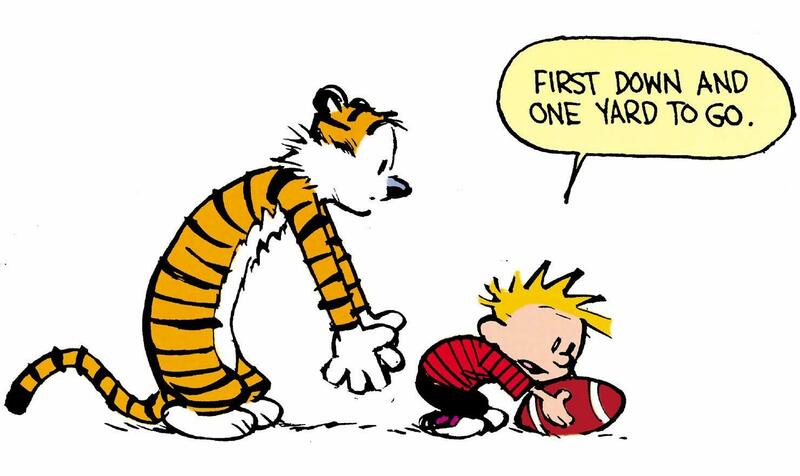 Calvin: You win?!? Aaugghh! You won last time! I hate it when you win! 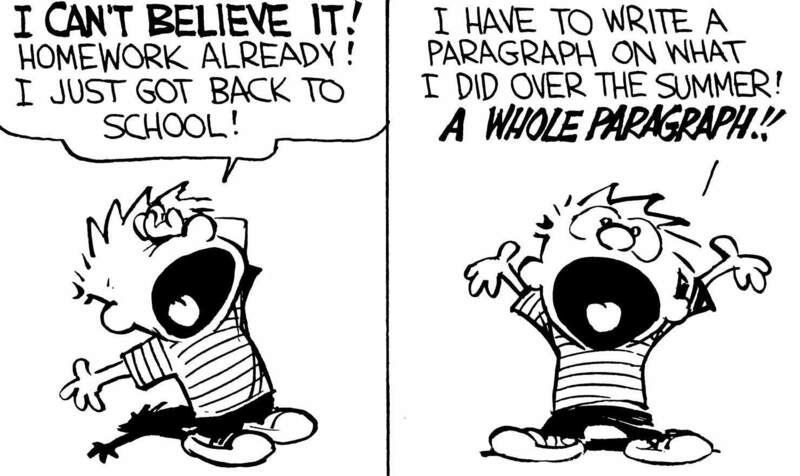 Calvin: Aarrggh! Mff! Gnnk! I hate this game! I hate the whole world!! Aghhh! What a supid game. 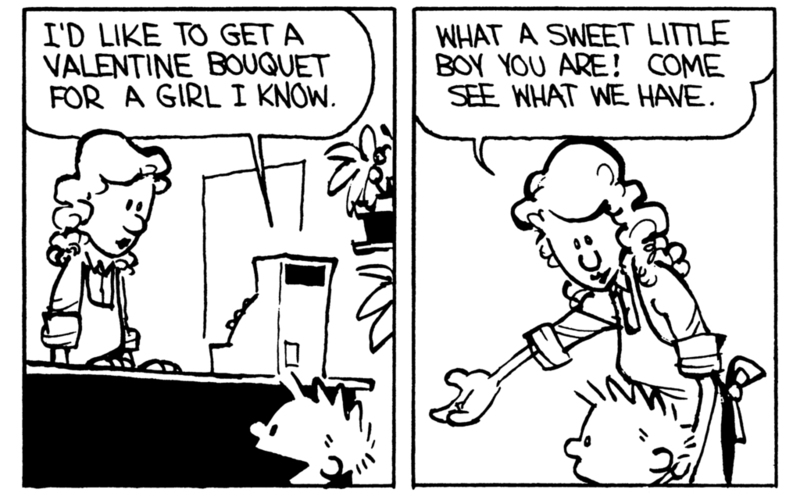 Calvin: You must have cheated! You must have used some sneaky, underhanded mind-meld to make me lose! I hate you! 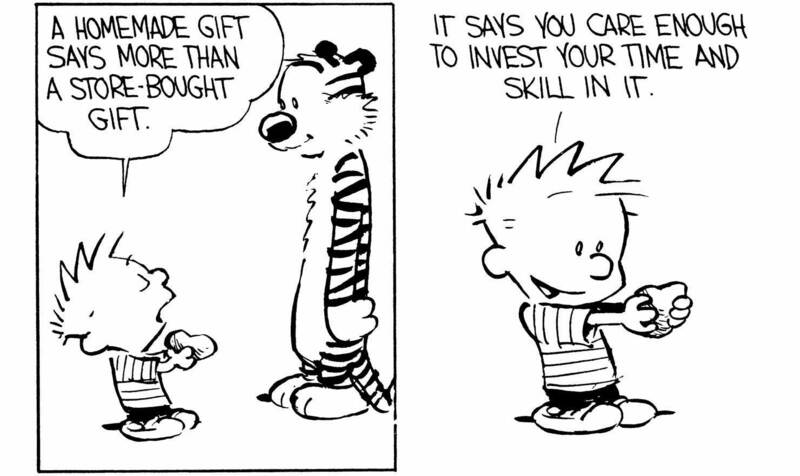 Calvin: I didn't want to play this idiotic game in the first place! I knew you'd cheat! I knew you'd win! Oh! Ooh! 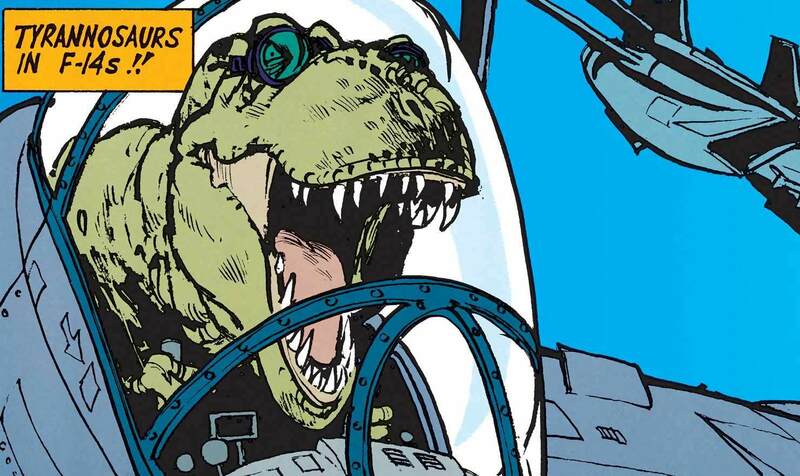 Aarg! 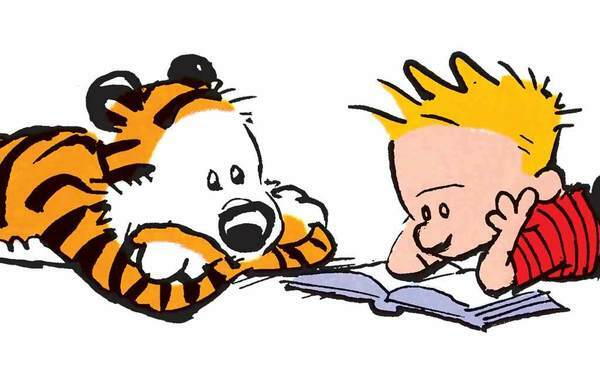 Calvin:Aaaaaaaaaaaaaa Hobbes: Look, it's just a game. 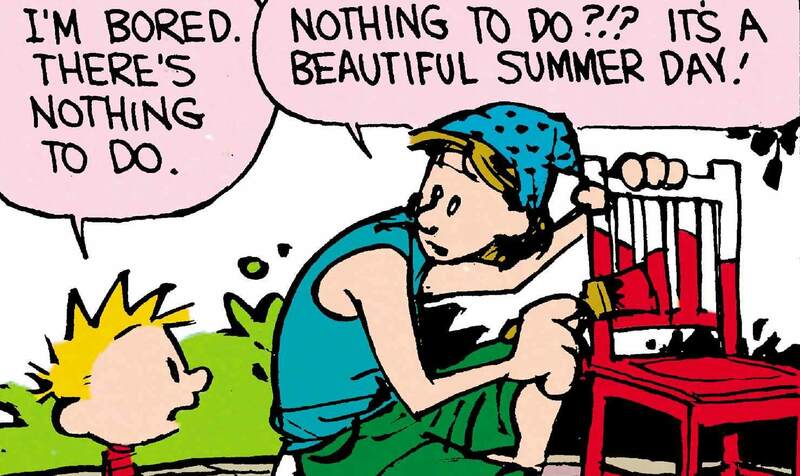 Calvin: I know. You should see me when I lose in real life!